It was a wonderful day for Winter fun. 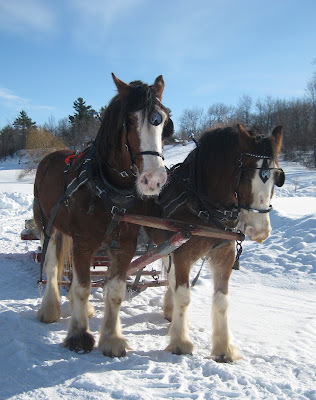 We spent the afternoon enjoying skating on an outdoor pond, tobogganing and best of all . . . . a horse drawn sleigh ride. Aren't these guys gorgeous! I think the adults liked the horses as much as the kids. Each ride was about 45 minutes long around the property of a local golf course. 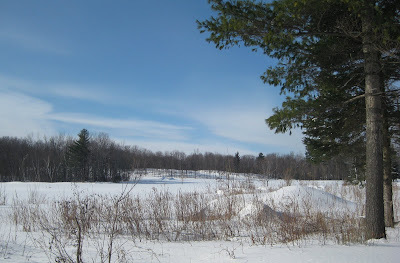 A crisp blue sky and lots of sun today ~ I even got a bit of a sun burn. 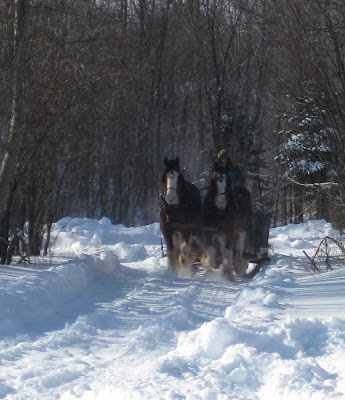 They were quite friendly and let us melt the tiny icicles off their muzzles with our hands. We ended the day with dinner in front of the fireplace and a glass of wine. 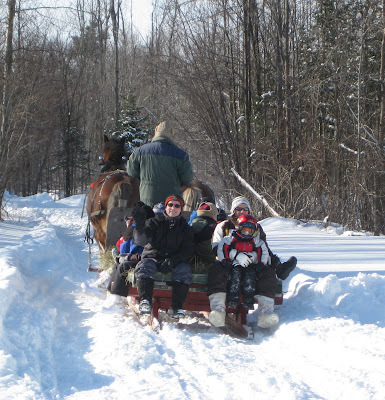 Now that is cool winter fun - Canadian style! Lovely photos Karen! Oh my goodness that looked like such fun! The horses are beautiful! 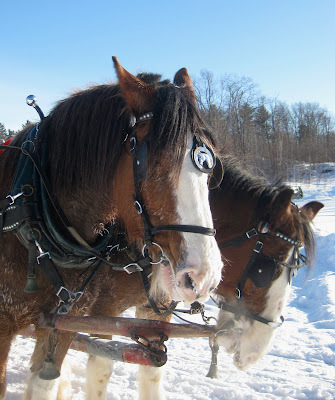 I have never been in a horse drawn sleigh-it looks like it was a wonderful time! Lovely photos Karen...I just love the horses...such beautiful animals. Looks like you had the perfect day! The fireplace looks so cozy. You had such a wonderful day. 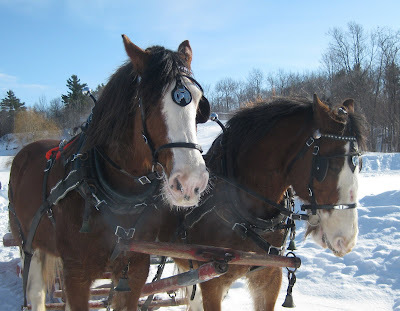 the horses look sweet, must be if they let you warm their nose. What a wonderful day you must have had Karen. 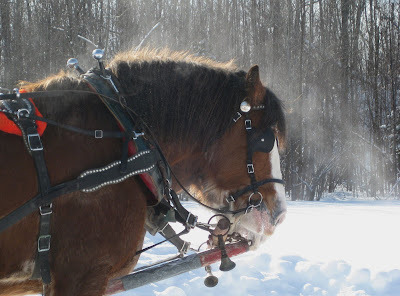 The snow looks so beautiful and the sky blue and to ride on a horse drawn sleigh, must have been the perfect day. Oh wow... what a fun day!!! My, does it get any better than that?! The horses were SO beautiful.